acdc are global specialists in architectural LED lighting, offer an impressive portfolio of ground breaking LED products; revolutionising the lighting industry. Barthelme is a German innovative owner-managed family business and one of the technology leaders for LED lighting systems and expressive indoor and outdoor lighting projects. To this day functionality and design are the focus of the business founded in 1931 by Josef Barthelme. Diamante Lighting design and manufacture “Made in Italy” high quality LED lighting devices, built to last and to perform among the best in class. 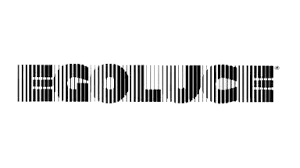 Since 1978 EGOLUCE has been creating “Made in Italy” products, mostly collaborating with Italian companies and craftsmen in order to offer its clients high tech and state of the art range of light fixtures for all types of use. Founded in 1982, Ikizler Lighting continues its sustainable growth in investing in new technologies and people. Located both in Istanbul and Sakarya with over 15,000 sq. m production capacity, Ikizler focuses on production and product development in energy efficient LED lighting systems. Intra Lighting is a global brand for smart lighting solutions. Considering design, the performance of products, attention to detail and project experience, Intra Lighting is able to find a solution for different project typologies. Martin is the lighting supplier of choice for lighting designers, rental houses, and installers across the architectural, commercial and entertainment worlds.Martin is all about fresh ideas, built on a solid basis of experience and an unparalleled range of dynamic lighting solutions. ORBIK’s journey began in 1982 when they quickly developed into respected manufacturer of high quality, reliable, emergency lighting control gear. Philips is the global leader in lighting. Its products can be found in residential homes and in the commercial sector. Daily, more than 44.000 employees worldwide keep Philips’ lighting solutions up to standards through innovations & projects in business, products and sustainability. PUK outdoor architectural lighting and professional lighting systems – ITALIAN DESIGN & PRODUCTION… EXPORTED TO OVER 90 COUNTRIES. Thorn Lighting Ltd, a subsidiary of the Austrian company Zumtobel Group, is a global supplier of both outdoor and indoor luminaires and integrated controls. TM TECHNOLOGIE was established in 2002 in Cracow, over a couple of years it became one of the top Polish manufacturers of emergency lighting and electronic devices used in lighting technology. Zumtobel Group is an internationally leading supplier of integral lighting solutions for professional indoor and outdoor building lighting applications.